Prepare updated Noise Exposure Maps (NEMs) for existing (2012) and five-year forecast (2017) conditions. Review the implementation and effectiveness of the presently approved Noise Compatibility Program (NCP). Use the updated NEMs and the results of the NCP review to assess the potential need to revise the NCP. During the NEM study, the FAA initiated a single-site study for development of performance-based navigation (PBN) (e.g., Area Navigation (RNAV) and Required Navigational Performance (RNP)) procedures for BNA. HMMH supported the airport during this process to ensure that the proposed procedures continue to support BNA’s noise abatement procedures. The future NEM (2017) incorporated the PBN procedures that the FAA has proposed for BNA. HMMH responsibility for the NEM Update benefited the 2012 Master Plan Update through detailed, FAA-approved forecasts for the short- and medium term, detailed information on airport operating modes, and understanding of primary noise-related constraints that might be relevant in airport planning. 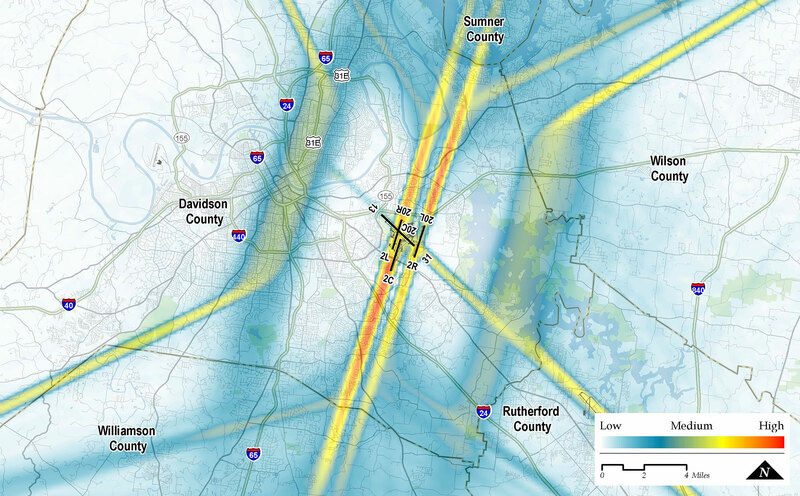 HMMH also supports the Metropolitan Nashville Airport Authority’s Flight Track Monitoring System (FTMS) with InFLIGHT™. 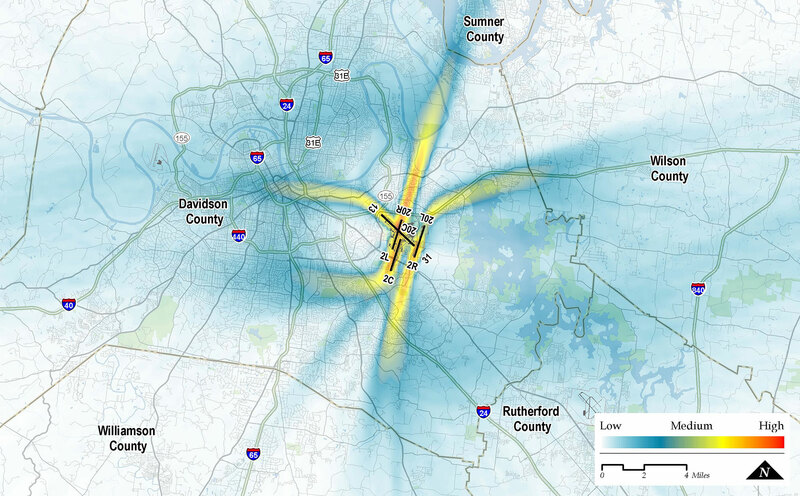 HMMH as part of the AECOM team was recently selected to update the NEM and support an updated Master Plan for the airport.